Tomorrow, Sam and I will be leaving Balikpapan, Indonesia, and I don’t think that fact has fully settled in. After living here for two years, I guess that is understandable. Packing up our things has made me think of our time spent in this “oil town” of approximately 700,000 souls, and the kind of questions we’ve been asked about living on the island of Kalimantan, otherwise known as Borneo. After all, living in Borneo has a rather adventurous sound to it doesn’t it? But I think what I have to say in reply is sometimes disappointing. 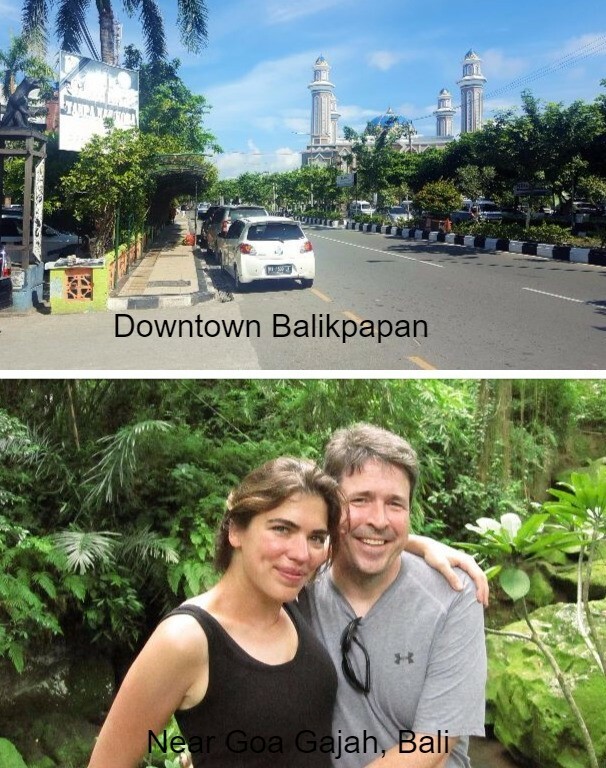 First of all, many people mistake “Balikpapan” for “Bali” — an unfortunate coincidence that has resulted in more than one disappointed tourist finding themselves here (in a rather industrial-looking city) instead of there! Or to put it another way, there may be a good reason why “Balikpapan” literally translates to “The Underside of the Plank” while Bali is known as The Island of the Gods. When people ask what the town of Balikpapan is like, I tell them it is rather congested and dirty, the roads horrifically laid out so that going anywhere feels like torture (I timed it the other day: it took 20 minutes to go 10 kilometers … and that was in relatively good traffic! 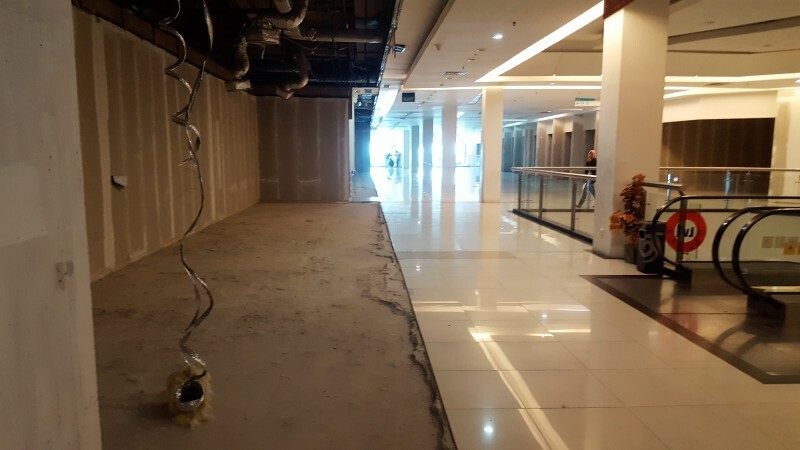 ), shops and stalls squeeze between housing developments constantly under construction and enormous malls are left half-empty and one-third incomplete. 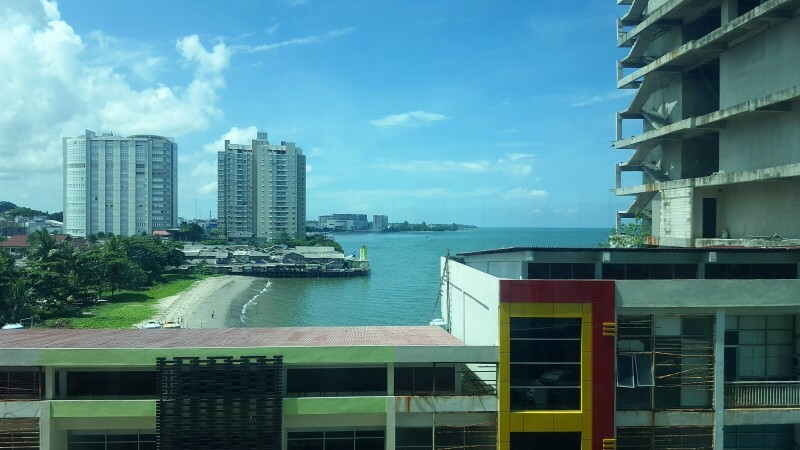 And while Balikpapan is located on the coast, a typical drive along the main coastal road would not clue you into that fact, as factories and corporate buildings stack one against the other facing the sea, so that most of the way along Jendral Sudirman, your view consists of buildings. 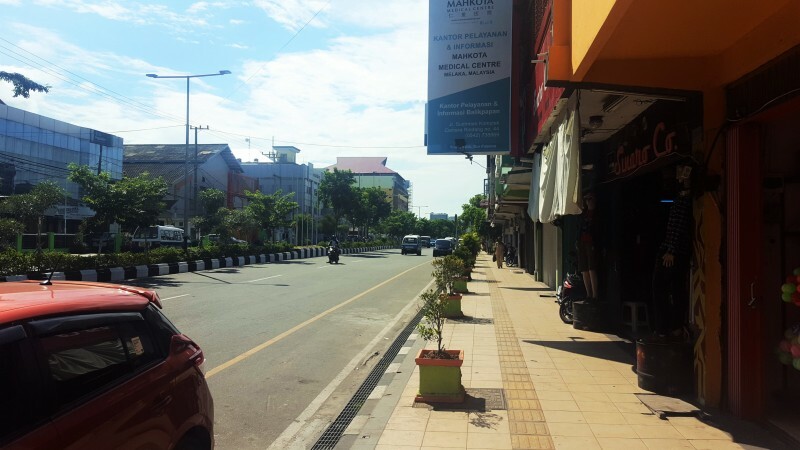 Even the most orderly section of town, which is probably Jendral Sudirman (pictured below) by the main mosque, market and city hall, while comparatively clean and spacious, still more or less obscures the fact that Balikpapan is located smack dab by the sea. 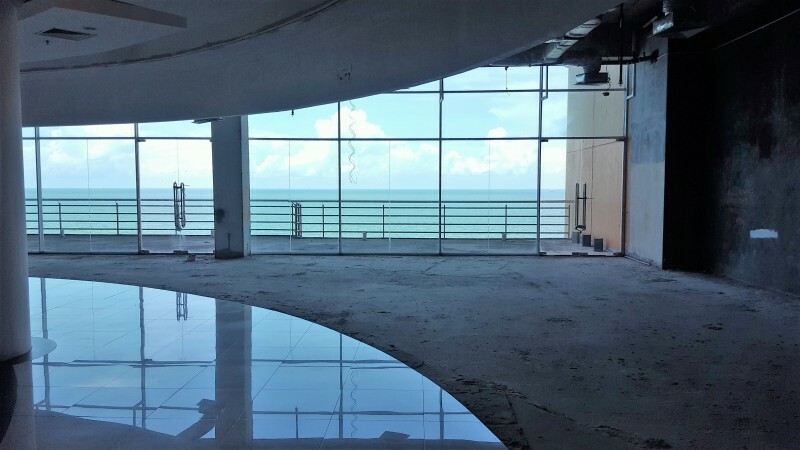 In fact, sometimes the only way to tell you are actually on the coast is to enter one of the malls where the half-abandoned floors offer views of what is otherwise obstructed. 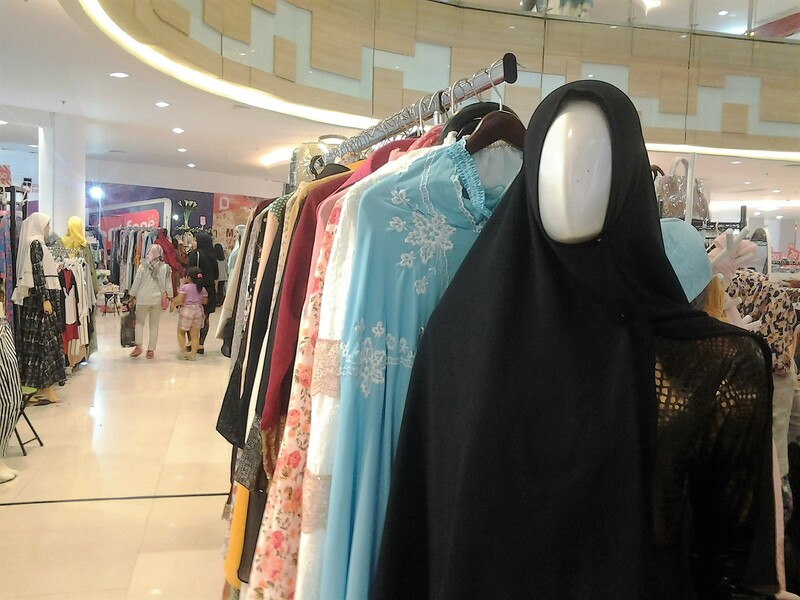 Speaking of shopping malls, I should note that while there are more shops and malls and stalls than you’d know what to do with, the fashion here is generally hijab-related, though the department stores do offer secular clothing styles as well. 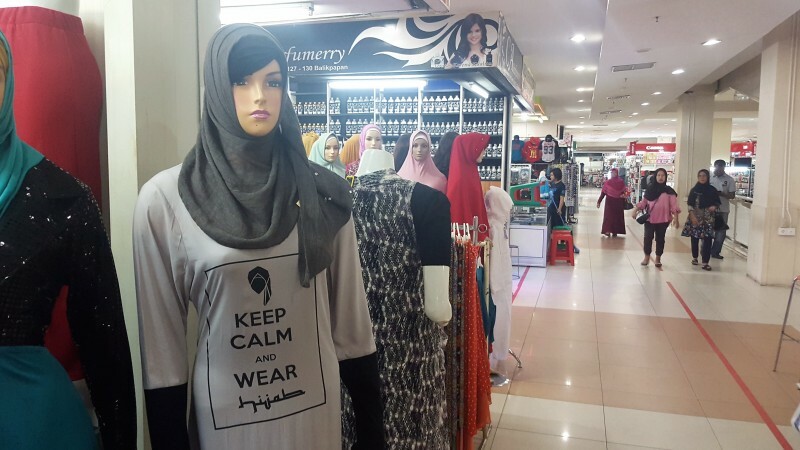 But still, there is no denying the amazing assortment of hijabs and accompanying accessories. I never knew there could be so much variety until I moved here! 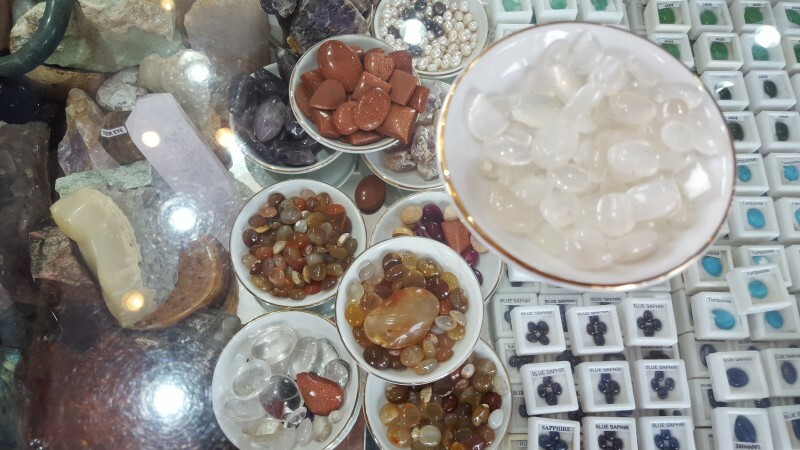 Aside from head gear, Balikpapan is also known for its gemstones. 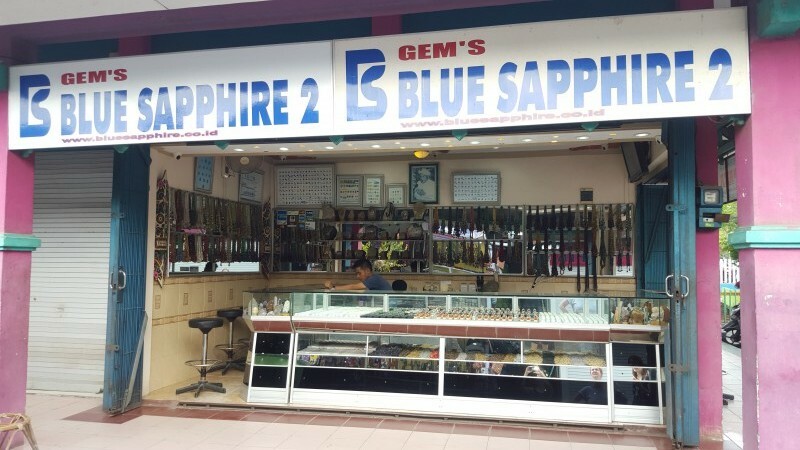 I’ve never purchased any myself, but apparently our little spot in Kalimantan is known for its yellow diamonds and other precious and semi-precious stones. The other main activity in town would be eating, I suppose. There are a handful of decent restaurants and we even have sushi, Indian, Chinese, Italian, lots of seafood and various American-themed dining choices. And of course we have super cheap, delicious Indonesian food everywhere. 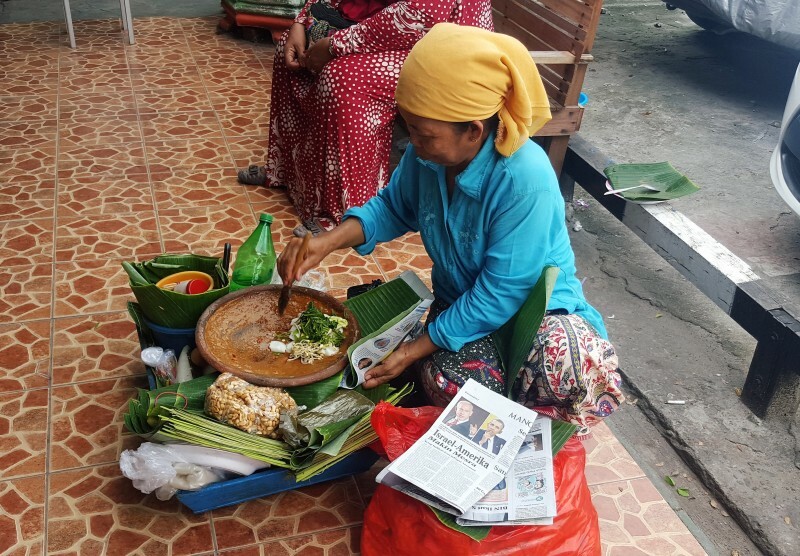 I will miss my Indonesian street food! 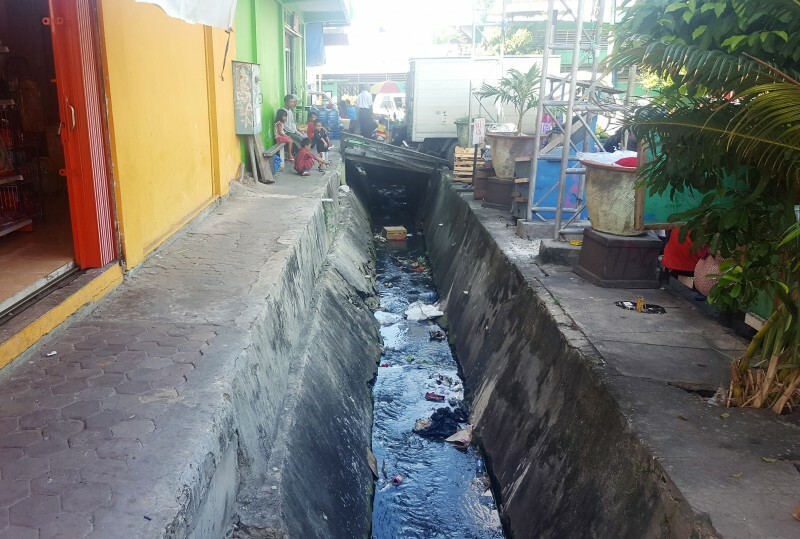 Despite the fact that Balikpapan is touted as “Indonesia’s Green City,” plastic bags and bottles and strings and cans and candy wrappers are strewn wherever the user last emptied it, though granted the city does pick up trash regularly to redeposit at one of the many “recycling” locations. There seems little shame in simply tossing your trash out of the car window (or in the water) when the product it once contained has served its purpose. So, basically, we’ve decided that Balikpapan is Indonesia’s Green City because it is surrounded by rain forest, except … well, that is being hacked and burned away at record speed as well. All this is true. 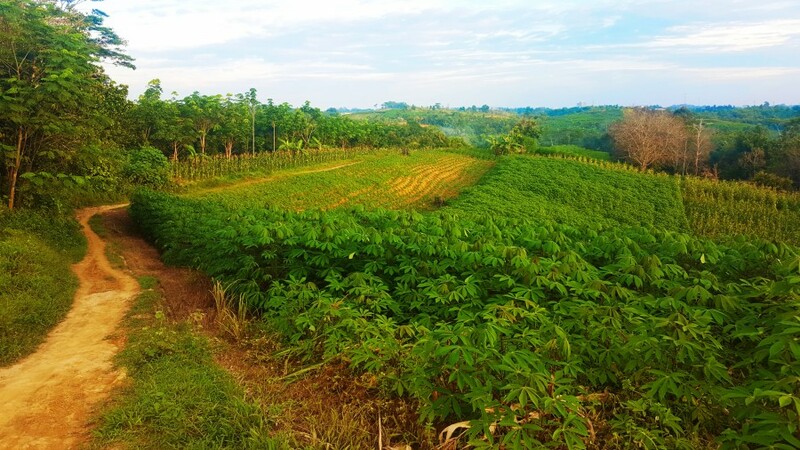 As with many cities in Indonesia, Balikpapan has major issues with infrastructure, environmental conservation, planned development, leadership, public services … the list goes on. 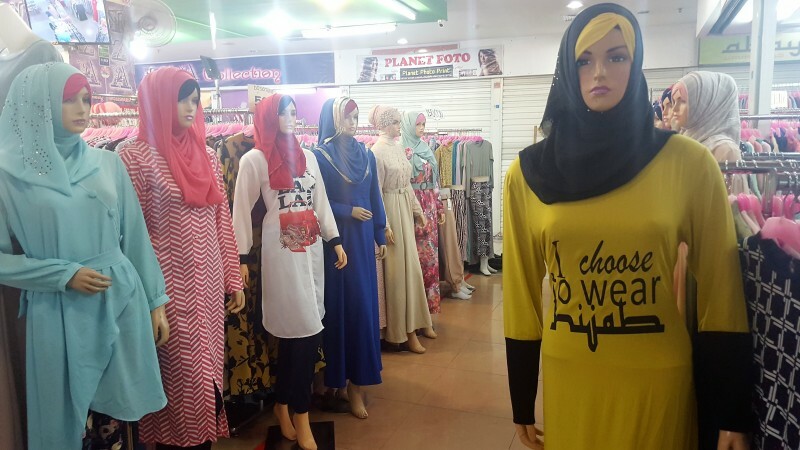 Because there is another side to Balikpapan that makes the million screeching mopeds, scattered trash and ravaged coastline feel worlds away, and that side to Balikpapan is found off the beaten path. You don’t have to go far to find it. It’s actually right there, just a kilometer away from the honking, cluttered streets. You’d never guess by looking, but as soon as you pull over at a random point on the road, then lace up your walking shoes or hop on a bike, all kinds of adventures and encounters are just waiting to be discovered. 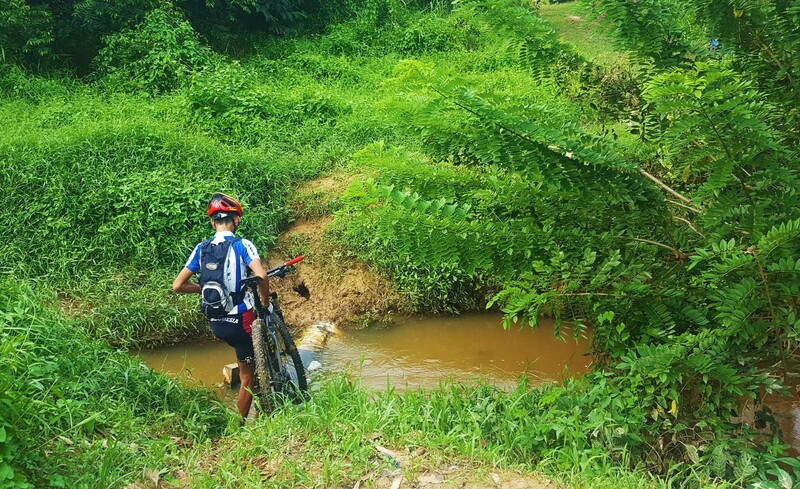 Take last week for example, when I took my last off-road ride with Pak Yayan (sniff sniff) at around four o’clock one weekday afternoon. We met at Kilometer 10 on the Samarinda Road — a bustling street that carves its way from Balikpapan in the south to East Kalimantan’s capital, Samarinda, to the north. Buses and motorcycles and cars puff their way up and down, and along the roadside, little stalls selling local fruit, mystical stones, a bewildering selection of stickers (I have no idea, so can not explain), bird cages and leather products with strange name-brand stamps (I didn’t know, for instance, that Jeep sold ladies’ hand bags … did you?) line the way. Within minutes of hopping on our bikes, however, all of this vanishes. Suddenly, we are climbing terracotta-hued hills, where a husband and wife trudge back home after an afternoon of fishing. Then they happily pose for photos as they ask us where we live in the city and what country I hail from. 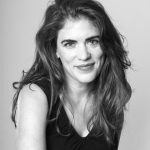 And while the encounter is interesting on its own, I think the real joy of it stems from that feeling of meeting people in their everyday lives, removed from the bustle of the city, and their complete sense of openness and acceptance toward a strange foreigner cycling through their woods. It’s just one of those moments that is hard to explain. 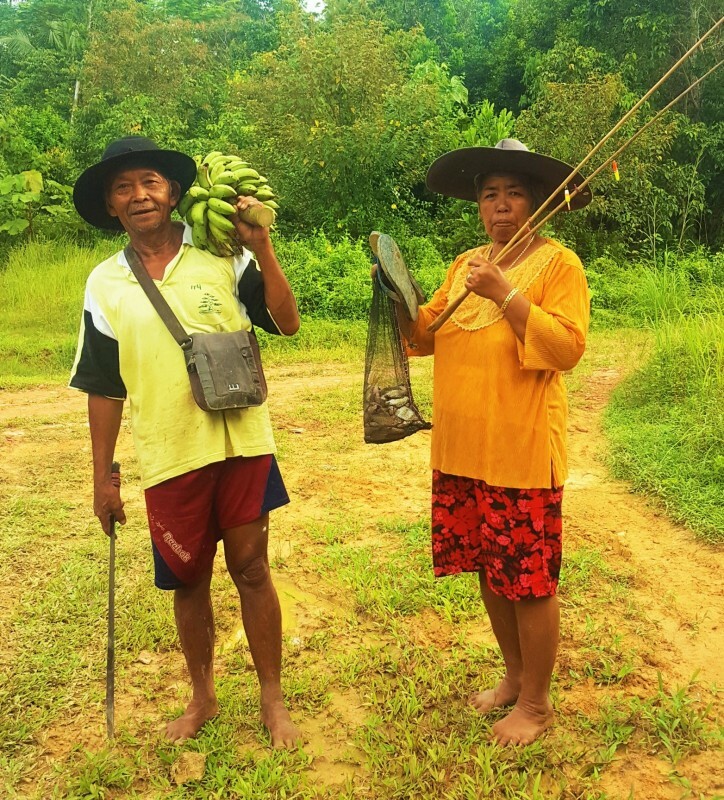 After our brief conversation, Pak Yayan and I are off again, winding along fish farms and more jungle until we hit a little river cutting through our path. 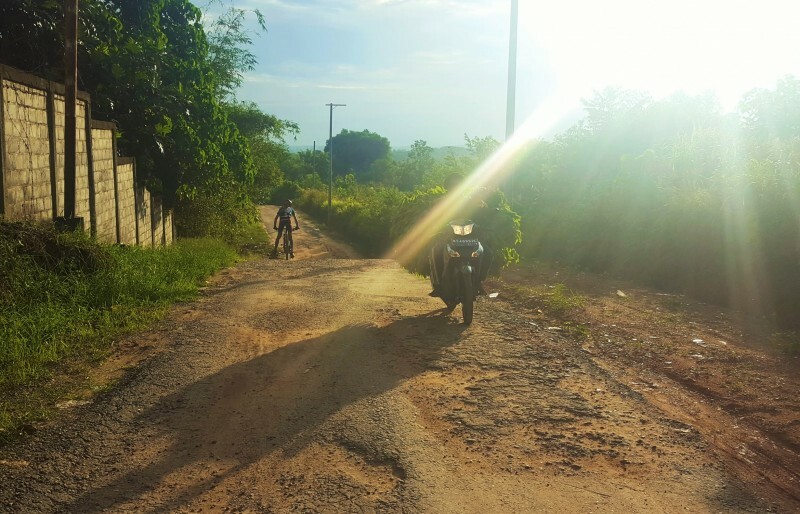 After a slippery (and somewhat inelegant) crossing, we are soon sailing over dusty paths cut between fields of tapioca and corn. Hills rise up all around us, and as the sun sinks in the sky, the lighting makes all that green and the rusty-colored earth glow like fairy-lands. All around it looks like this, without a single concrete structure or car to be seen. 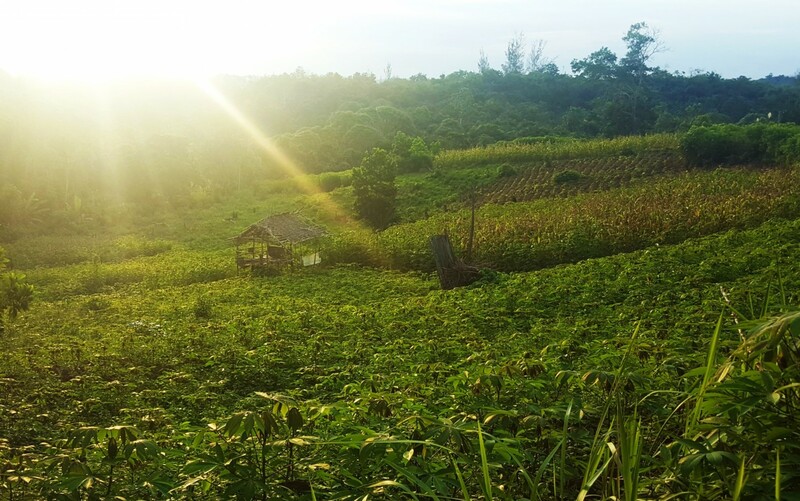 It feels miles and miles away from the city of Balikpapan, and that part of you that sometimes shuts stimuli out because otherwise, there is simply too much going on, comes alive. 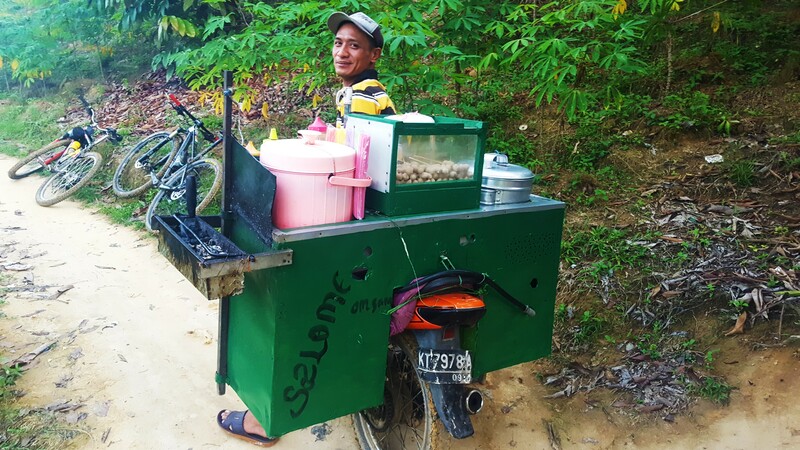 When we finally do encounter a village (if you can call it that as it is really a few homes clustered near plantation fields), we spot the coolest little all-in-one traveling food-vendor. So this thing also looks exactly like a scenario from my law school exam days when our Torts and Product Liability professors would conjure the most bizarre circumstances in which we must identify all the potential liabilities and damages at hand, as well as potential defenses. And a contraption strapped onto a gas-powered motorcycle that simultaneously boils meatballs (called “bakso”) and grills them with live charcoals on the side has a lot of potential liability. And damages. Defenses? Not so much. But then again, we’re in Borneo. The vendor, who tells us his name is Sam (easy enough for me to remember!) stabs a bakso ball (which he also called “Salami”!) with a bamboo skewer and offers me the sample, even though I protest and say I’ve no money. He shrugs and drizzles the bakso with hot chili sauce first, and when I take a bite, I find that it has a chewy, rubbery like consistency that isn’t at all unpleasant. Sam tells me the “salami” is made of chicken, tapioca flour and spices. It’s pretty tasty! 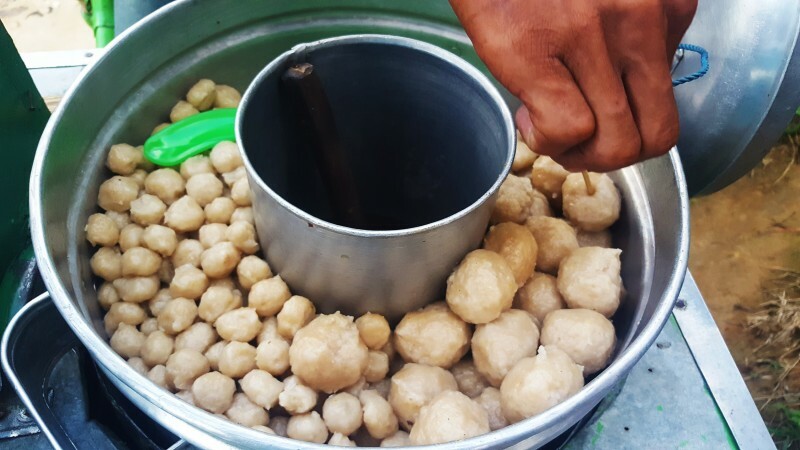 As we’re chatting over bakso balls, a half naked man skirts around us on the path, wielding a plastic bucket. Well, that greeting made me laugh out loud, but the man didn’t seem to understand what I found so funny. 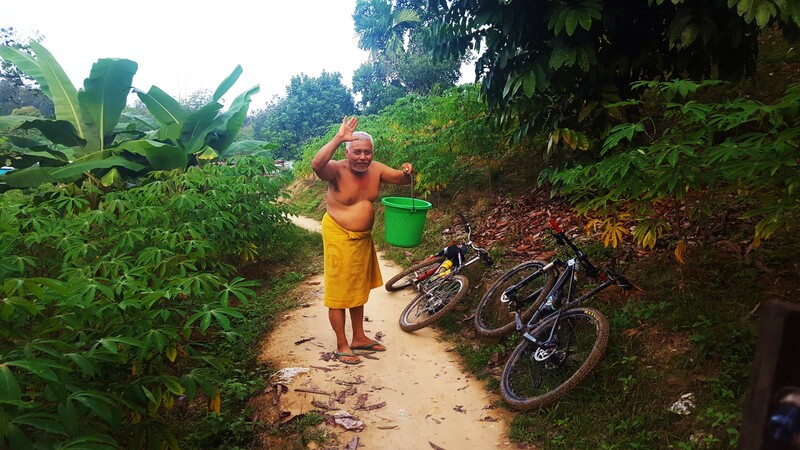 He waves goodbye and saunters off with his bucket as Pak Yayan and I thank Sam for the bakso and bid him adieu. And then, sure enough, not far down our pathway, we stop to find our bucket friend suds-ing up at an open-air bath of sorts. Now, what delighted me the most about this encounter was the fact that he wasn’t the least bit embarrassed. He actually waved us over, invited me to photograph, then peppered me with questions about where I was from, where I’d lived, what my husband and I do here, etc., as I snapped away and he soaped up. It was kind of awesome. After a few minutes, we bid our new friend, whose name is Sumarji, farewell (I thought it best to leave while the soaping-up had not been thoroughly executed just yet!) and hop back on our bikes to wrap up our last outing together. And as dusk slips its fingers through the fields, I look around and know it will be a long, long time — perhaps never — before I have an experience quite like this again. 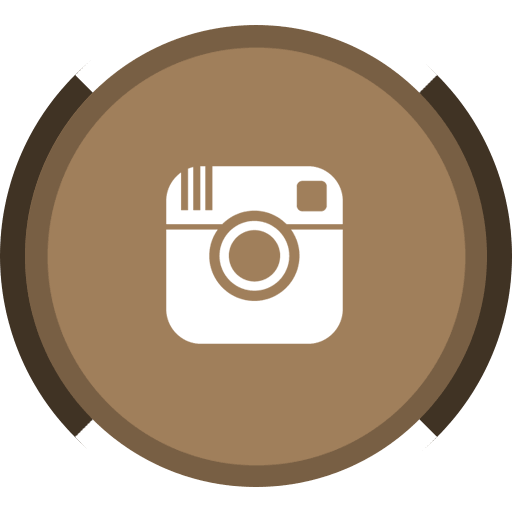 Because this, the off-the-beaten-path-Balikpapan, is what coming here is all about. If you stick to the city streets and the malls and hotels and restaurants, you’d never see this amazing, crazy, beautiful side. You’d never even guess it was here. And after two years of meeting people like Sam and Sumarji, of riding through tapioca fields, swaths of jungle and cluttered kampungs, I never have gotten over the awe of it, of how amazing it is to be present in such a place, to have the gift of sharing brief moments of life in all it’s quirky glory with complete strangers who somehow feel like friends. Experiencing this other side of Balikpapan is akin to magic, like walking through a painting to discover another world diametrically different from the one you just left. And when you return to the busy, noisy, everyday world, there is a type of afterglow that stays with you, that warms your heart and tells you that life is so much more than what you see before you … if only you put in the effort to look. Thank you for that lesson, Balikpapan!